The Scotline Shipping Consultancy is a UK-based, independent maritime and shipping adviser for anyone wishing to enter the industry. 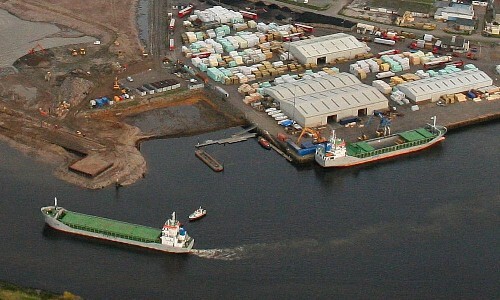 Scotline has been operating as a maritime and shipping consultancy in the UK and around Europe for many years. We support individuals and companies who are new to the industry, as well as those that are already in it. Some of our clients have been new to the industry, others are already in the industry and looking to expand into new areas. Our speciality is in project cargoes (a cargo that typically consists of few pieces for a one-off shipment, such as delivering a crane) and bulk cargoes (E.g. food products, sand, waste materials) that require the in-depth knowledge and understanding of a shipping company that has been operating for nearly 40 years. Shipping accounts for around 90% of physical world trade, but is still a complex business and mistakes can be very expensive. If you are new to the industry it can take years to understand the jargon and inner workings of the industry. That’s why we are here to help. We specialise in working with clients who are looking to move cargoes on a one-off basis or on a regular contract. If you need to ship anything from a single container to a weekly bulk cargo, we can support you in getting the best possible rate. We can advise on long term shipping strategy also, giving scaleable options, such as investing in infrastructure and when increased investment would become financially viable. Scotline Shipping Consultancy can act as advisers only, as intermediaries, or we can deliver a complete turnkey shipping solution. Whether you are an individual or a large multi-national, we have had experience of supporting a wide variety of projects as a consultancy and with our partners as owners of ships and terminals.